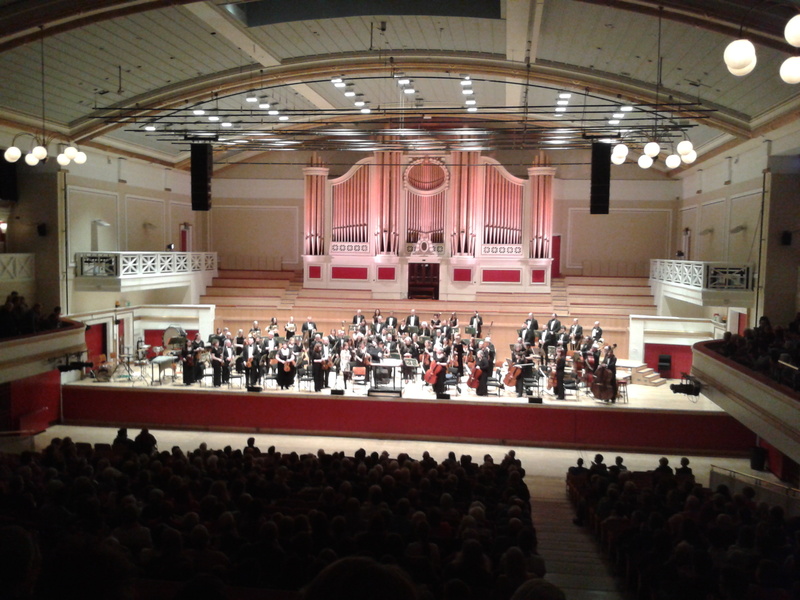 Leicester Symphony Orchestra at De Montfort Hall on February 21. William Flint’s Corn Exchange with the Venetian steps designed by FW Ordish, currently in need of some TLC. To the far right is the new food market building. This is the view from the bar at Cinema De Luxe, looking out onto St Peter’s Square. The bar has Brew Dog’s Dead Pony on tap. 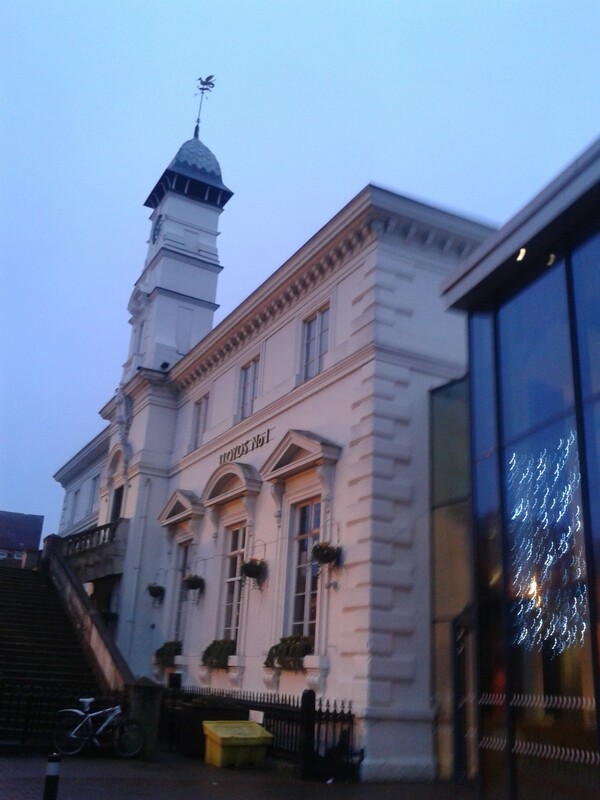 I was insanely happy to be sat there with a pint, waiting to see Star Wars with my friend Claire. There was an artists’ festival going on in the city, it coincided with a day long music festival at the LCB Depot organised by Ian Magic Teapot. Which was ace. 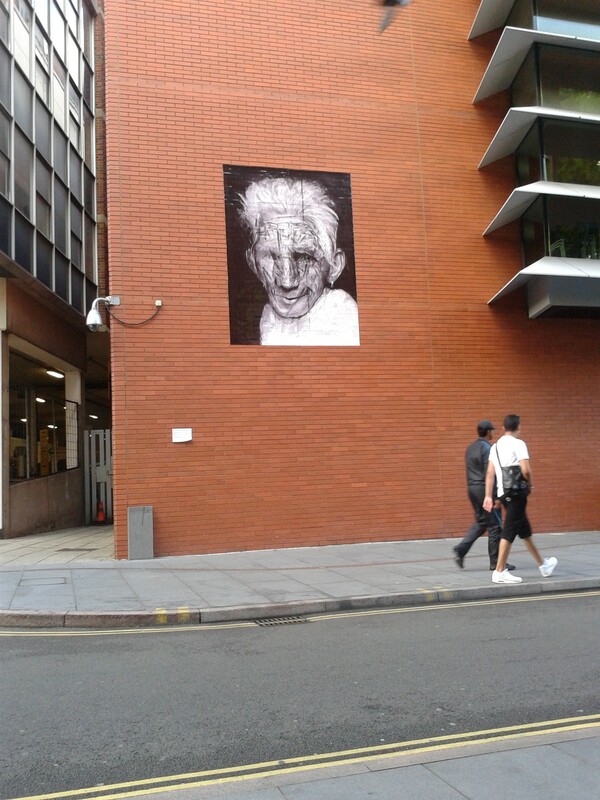 Here, the photo has been taken outside The Exchange in Rutland Street. 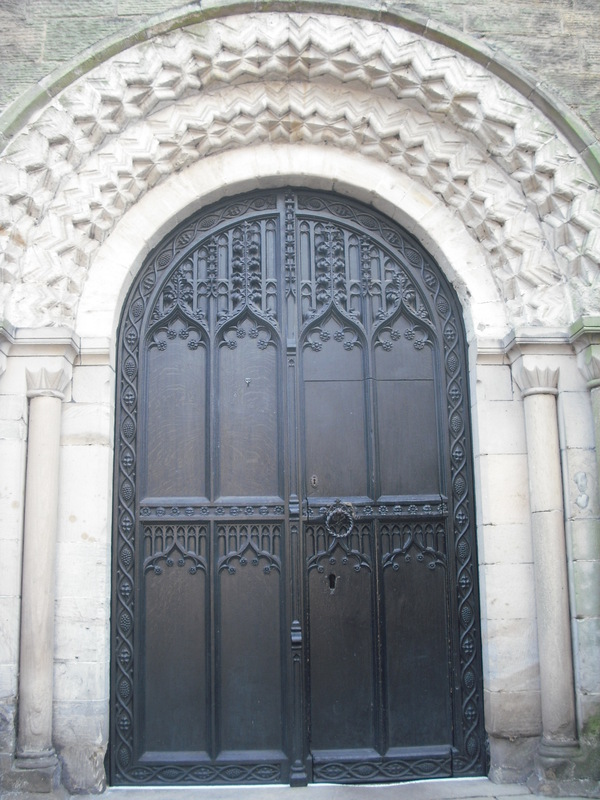 This is the Elizabethan door of St Mary de Castro, the church where Henry VI was knighted in 1426 and where Chaucer reputedly got married. 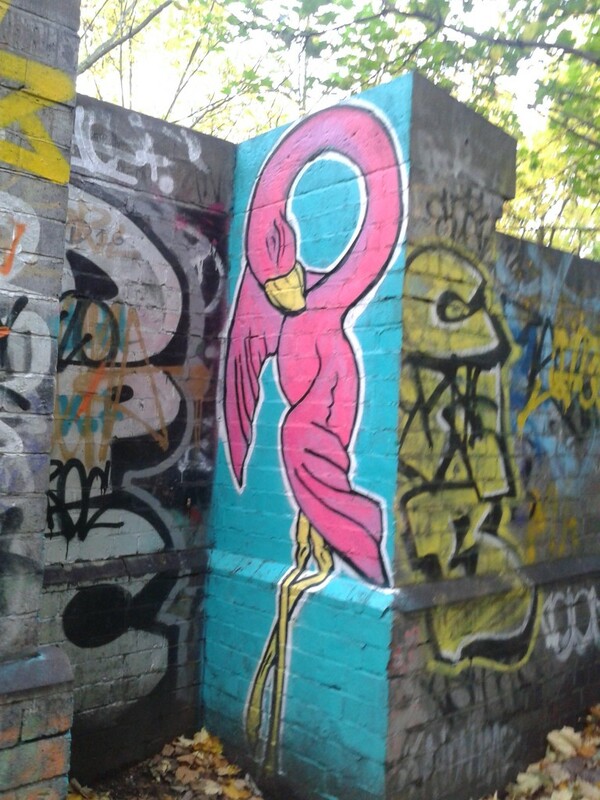 If only all graffiti looked like this. 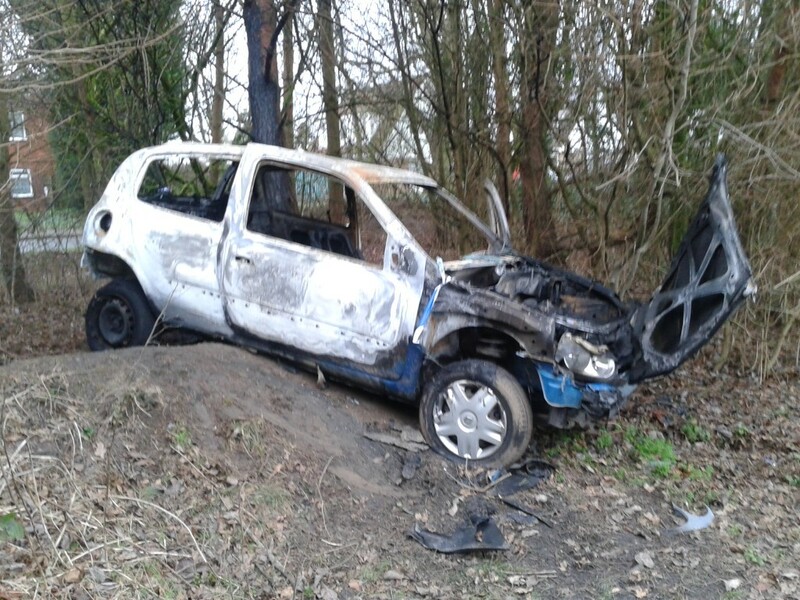 This was taken on what’s left of the old Great Central Railway bridge, just a short stroll from Bede Island Park in the city. 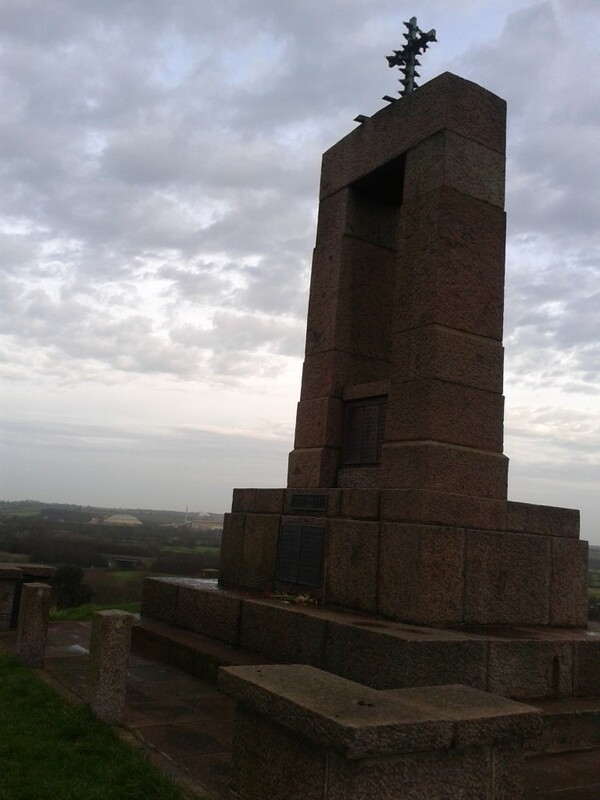 This is a moody/too dark/pretty rubbishy shot of the war memorial in Mountsorrel, a few miles out of the city. 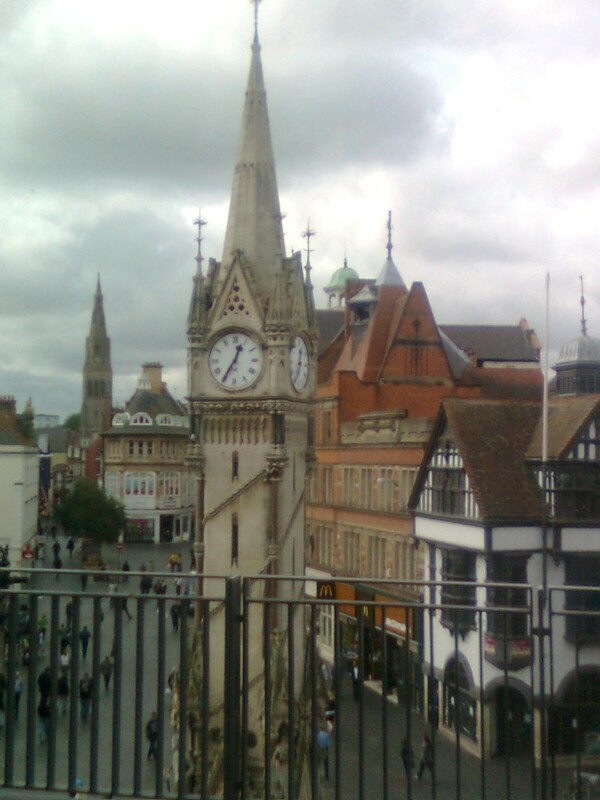 Here we have Joseph Goddard’s Clock Tower. To the right is the old East Gates coffee house. 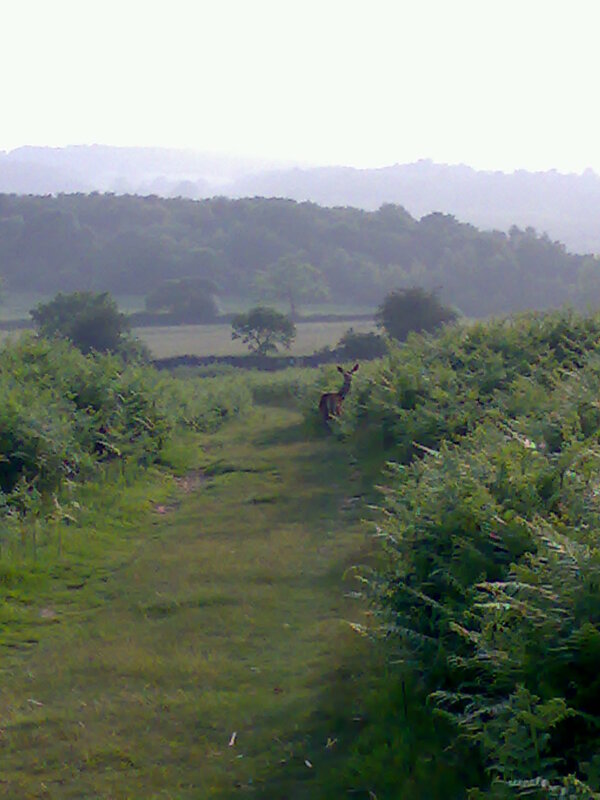 In the distance is St Martin’s, AKA Leicester Cathedral. 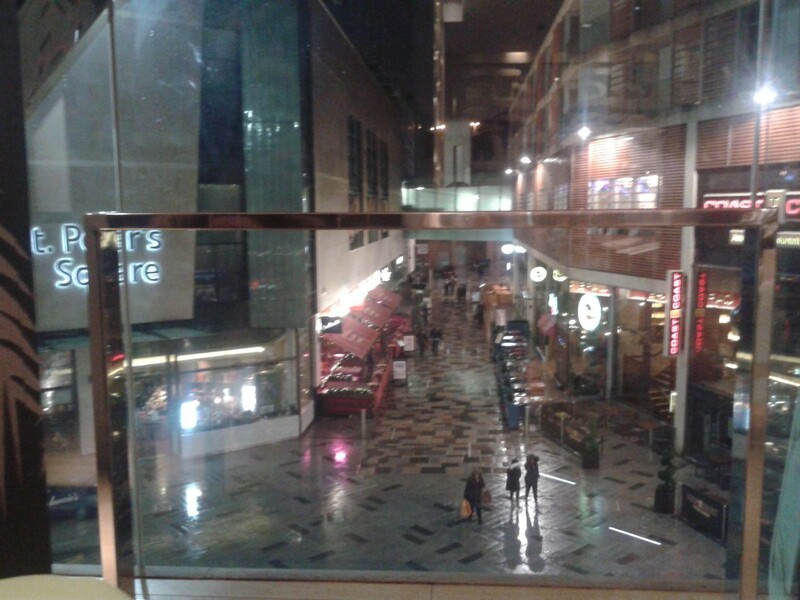 This was taken from the top floor of the Haymarket centre. A truly unpleasant lump of architecture. Found during a little jog in Western Park last week. 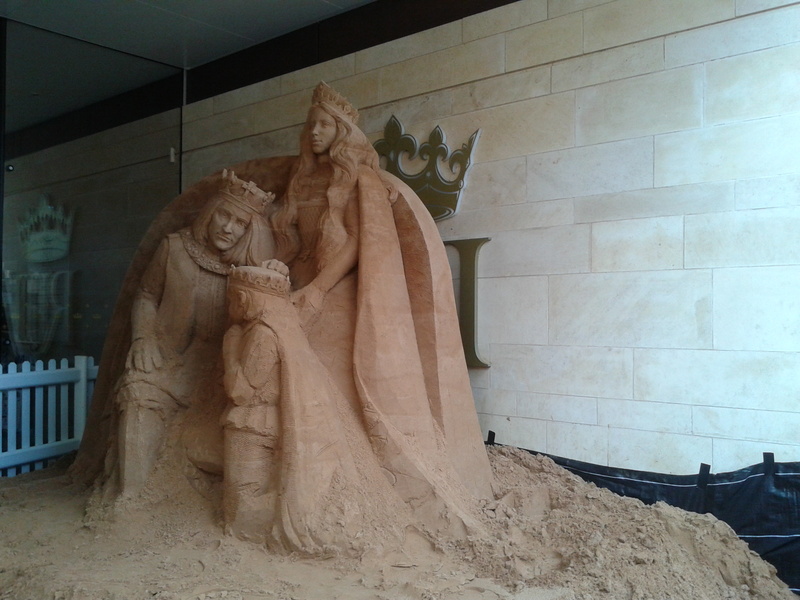 This is a rather brilliant sand sculpture outside the Richard III Visitor Centre in the Cathedral Quarter. Some people use paint, some use chalk. The person who did this used a finger and a dirty window. 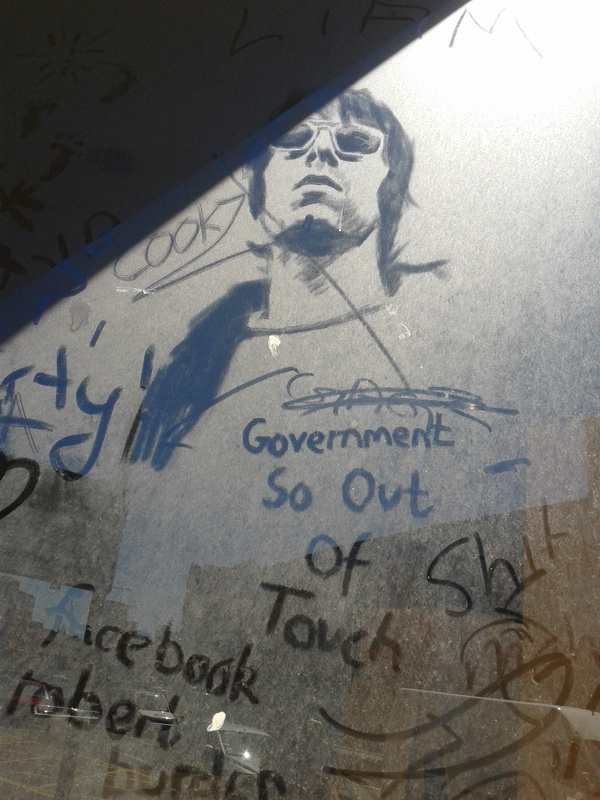 This was found on a building in Leicester’s outer ring road. Have no idea why the text has gone all funny. Soz. 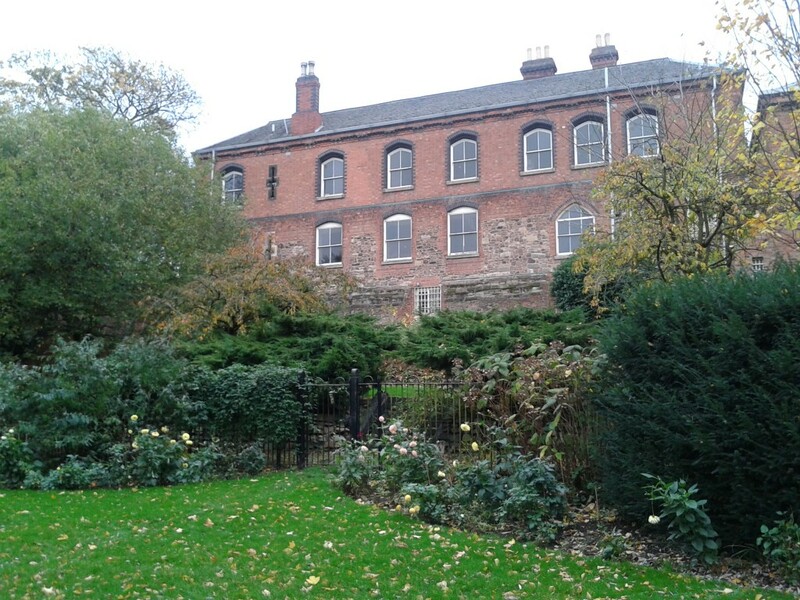 Leicester Castle from the river. Beneath its bricks is an 11th century Norman dining hall. One of only three in the UK. The bricks you see date from around 1695. If you look at the older bricks, you can see the pock marks of Prince Rupert’s canon balls. 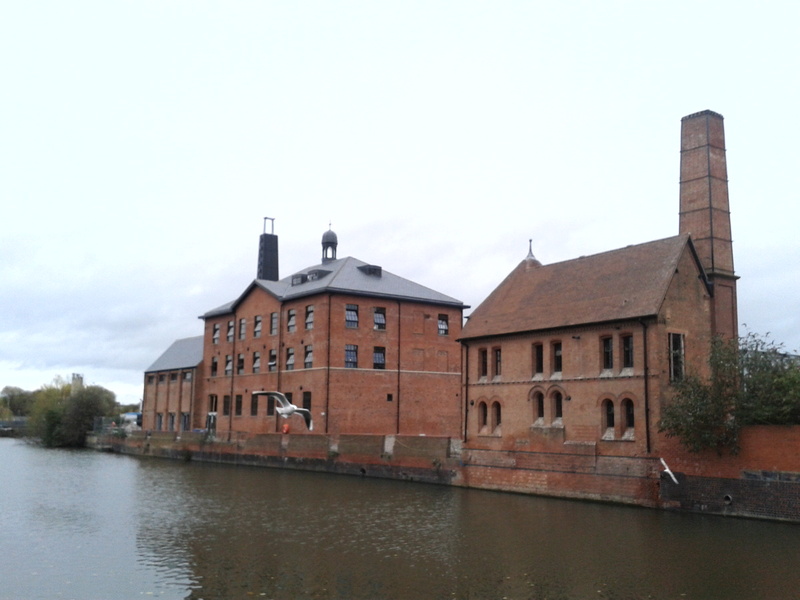 Friar’s Mill, just down the Soar from the castle, in Leicester city centre. Will take fresh pics when the weather is better. Rupert’s Gateway. 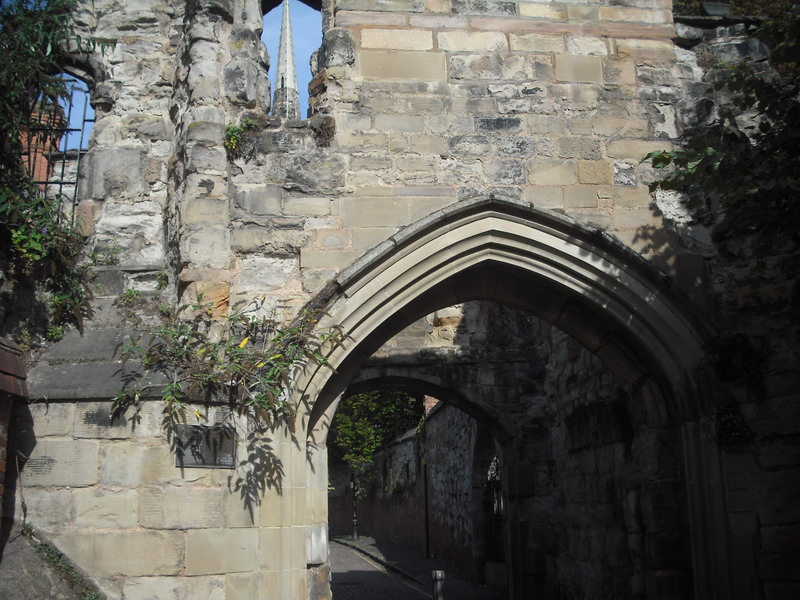 The enclosure to Leicester Castle. Sadly you will no longer see the spire of St Mary de Castro, it’s been removed for safety reasons.